30-06 brass LC 69 production, Premium grade, new old stock,. This was pulled down from Ammuntion that was dismantled in the 1990's from surplus military reserves. Came from boxed ammunition (not from ammo that was on machine gun links). Boxer primed, primer ring crimp needs to be removed before loading. This brass still has the factory annealing, it has not been cleaned in any chemicals. 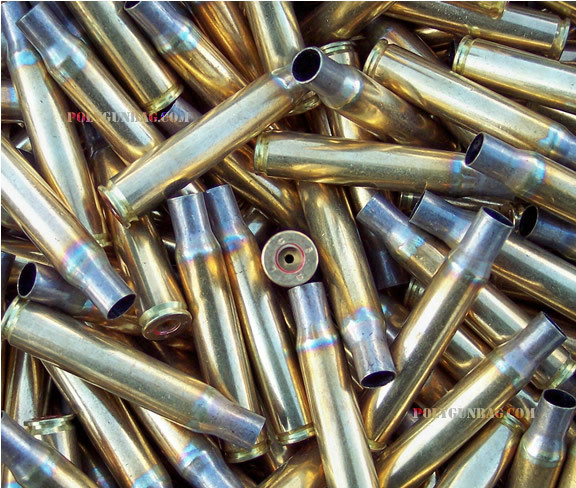 Our ballistic technitian has reported that this brass can be reloaded many times over commercial brass. These last lots of brass have been sorted and inspected. The brass you receive will be all the same lot and headstamp.This is a non restockable item, our supply is limited.